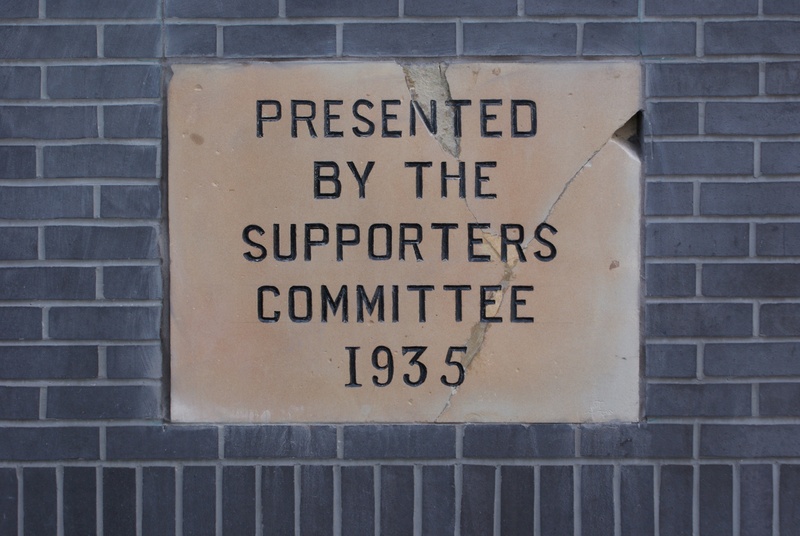 After 21 years the Supporter’s Plaque has returned home and been positioned on the outside of the ground by the main office. 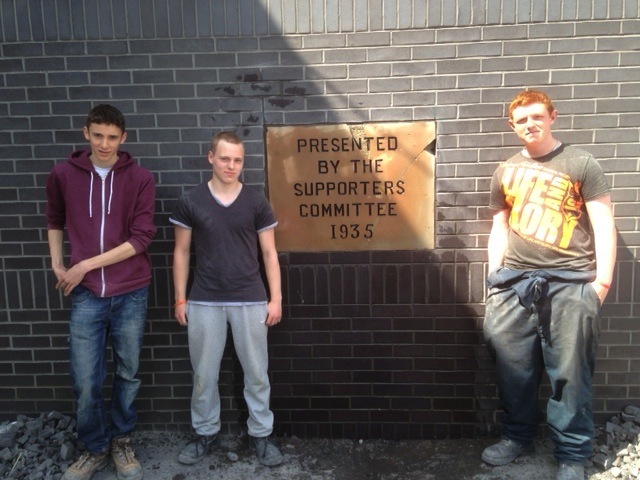 Altomont Townsend and the students at the college have done a superb restoration job and three students from the Bricklaying Level 1 course, Joe Lawrence, Jamie Morgan and Danny Dowling put the plaque in place on the wall today. Finished plaque at the college. The information board has been completed, thanks to sponsorship from the Chester Exiles, and this is expected to be erected alongside the plaque later this week. In my previous posting I speculated that the plaque may have been made by Clegg’s stonemasons on Bumpers Lane but a more plausible explanation has since come forward. Steve and Colin Mansley, whose grandfather’s cousin was Chester chairman at the time, tell me that there was a Mansley’s stonemasonry business at Handbridge, where Blackwell’s Stonecraft Ltd is now located, and it seems more likely to me that the plaque originated from there. 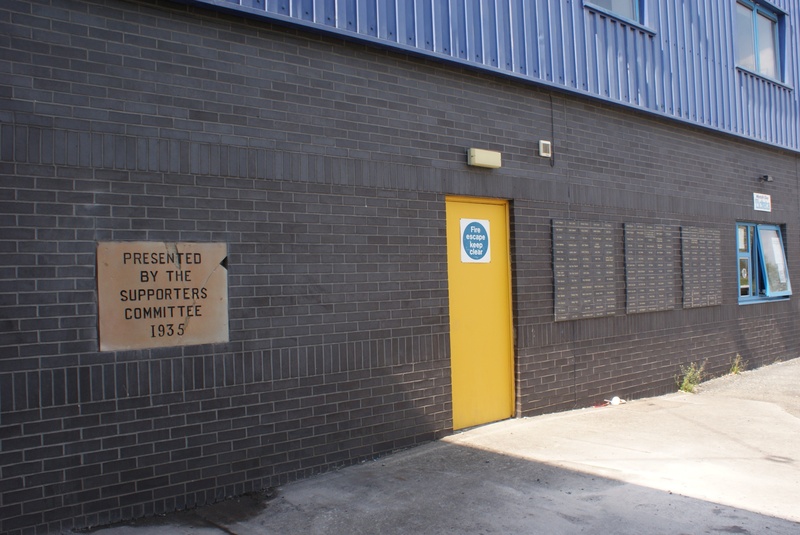 On Saturday May 11th, at 12:30 pm, there will be an official unveiling of the plaque which is scheduled to take place before the players embark on their open-top bus trip to the town hall. Supporters are welcome to attend. 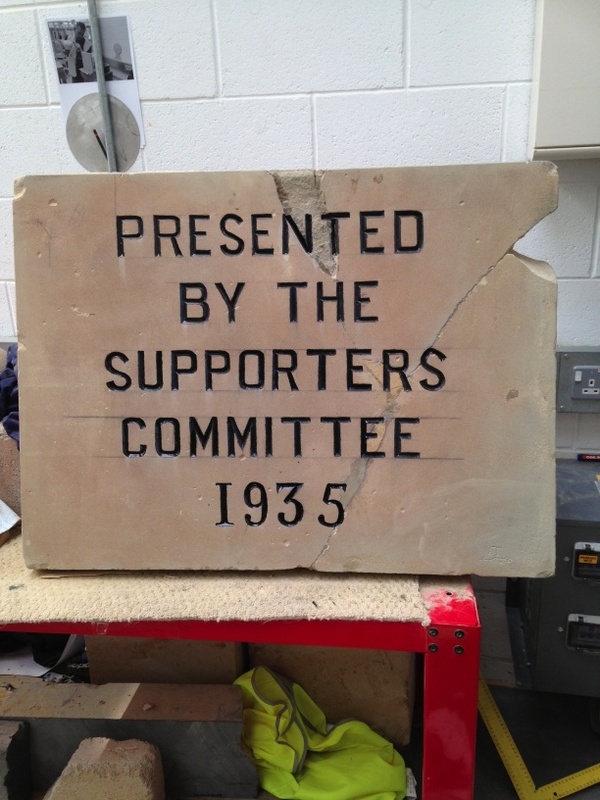 For the full story behind the restoration there have been three previous posts on the topic which can be found in the archives under Grounds.